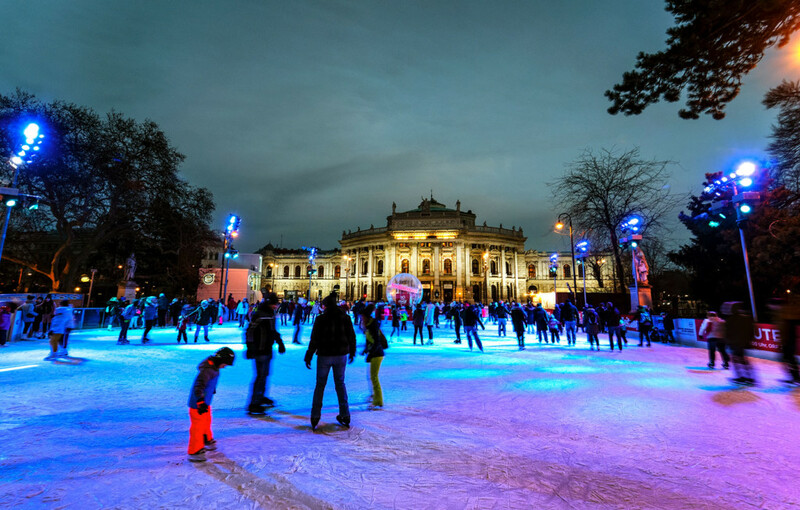 At my photography tour in the ice skating arena near the town hall in Vienna, I tried different lenses. I made the photo with a wide-angle 14mm 2.8 lens from Samyang. The lens is a native E-mount lens, so no need for an adapter. For cities and places, wide-angle shots often bring the perfect symbioses between centered motives and surroundings. Therefore they fulfill the complete showing of all subjects you wanted to catch with the image.